Arson wins a 3 point major at just 6 months and 2 days old! 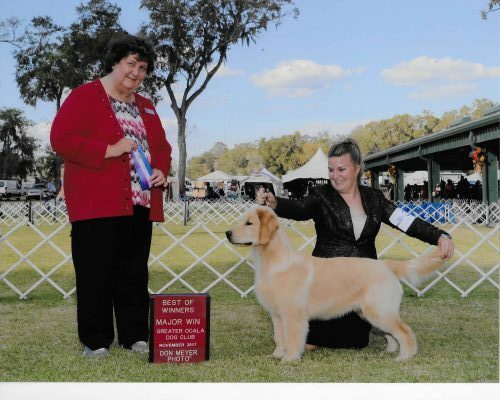 “Yeager” GoldRox Mach-One finished his Championship in Atlanta, GA at the Atlanta Golden Retriever Club Specialty on Aug 5 by going Best Of Winners for his 4th Major!! Yeager was completely owner handled by Courtney!! NEW CHAMPION TSURUTANI BELLE’S HALLE BEARY FINISHING IN HAWAII! 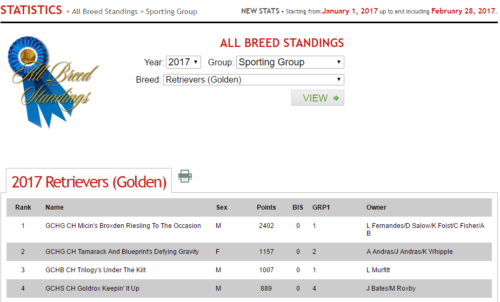 Cody finishes 2011 as the number 1 Golden Retriever (All-Systems) in the USA!